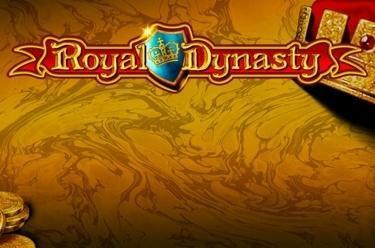 Play Royal Dynasty online for free now! Let the high nobility dance on 5 reels with Royal Dynasty and secure wealth and affluence with the help of the influential dynasty. If the king is on your side you're half way there; a pact with the heirs to the throne opens the doors to royal amounts of Twists for you! Royal Dynasty is played on 5 reels and up to 20 win lines. If you are after a royal win you have to land 5 identical symbols along a win line! The winning pattern runs in single lines from left to right across the reels. To win you have to land matching symbols from the left on the win lines without interruption! Land 3 or more Princess symbols, or 3 or more Prince symbols to trigger 25, 30, 35, 40 or 45 Free Spins. The number of Free Spins is chosen at random: Just wait until the reel stops or stop it while spinning by clicking on 'Start'. The 'Royal Dynasty'-logo displays the Scatter symbol (Princess or Prince) that has triggered the bonus feature. The Scatter symbol that has NOT triggered the bonus feature will always be converted into a King symbol during the Free Game. 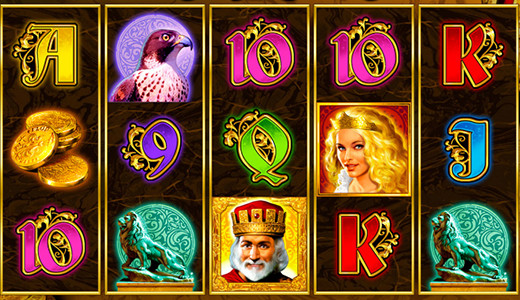 The King replaces all symbols except Scatter and doubles your winnings. The symbol that has triggered the current bonus feature will start further Free Games in a 3-symbol combo.